Over the last couple of years, I’ve noticed that senior executives of small and mid-market businesses (SMBs) are paying more attention to lead generation (though still clearly not enough). While this is certainly a sign of progress, I’ve noticed that the lead conversion process is often overlooked. 1. Ineffective Strategy (Failure To Understand The Funnel). Successful lead conversion comes from understanding how the B2B conversion process actually works. A good strategy can only be derived when you accept how things work, and then design your systems and processes in accordance with those facts. SMBs notoriously fight the marketing funnel. They’re always trying to skips steps, and the effort is killing their growth prospects. 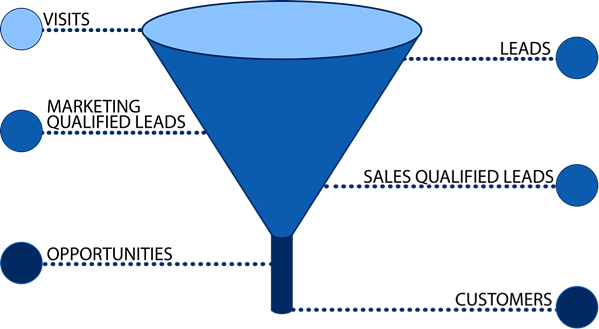 The lack of strategy to build the middle of the funnel makes predictable growth virtually impossible. Only about 25% of the leads you create will be ready to buy within the next 1 – 2 years (source: Gleastner Research). Whether you meet someone at a trade show, they’re referred to you, or they’ve downloaded something from your website, the vast majority of leads aren’t sales ready. 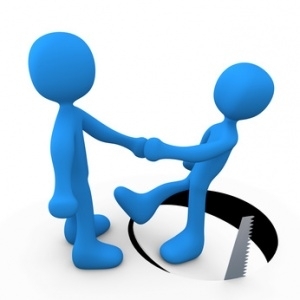 Having a sales bias will KILL your nurturing process. We all have a tendancy to look at leads that are created and predict guess whether we think they’ll be a customer or not. Yet, if I were to look at the majority of my best clients, I would not have predicted they’d be good customers when I first met them. The key to successful lead conversion lies in answering the question, “Why should a prospect talk with us,” rather than “Why should a prospect buy from us?” The vast majority of the lead nurturing that does take place is just glorified direct sales copy that fails to create value for the prospect. Successful nurturing requires that you put the prospect’s needs before yours. You must map their journey and create content that is compelling for each phase of that journey. One size does not fit all. Successful conversion requires that you personalize your marketing approach to your respective buyer personas and within the context of their journey. A monthly email that goes to you entire database is not the same thing as a nurturing process. Quite the contrary. Generic processes simply tell your entire database that there’s nothing special for them. Don’t get me wrong, messaging is important; but it’s rarely the reason that conversion efforts fail. Remember your message is far more than the words you use. In most conversion efforts, when the messaging is bad the cause is typically one of the items listed above. Patience is not only a virtue in life; it’s a virtue in sales. Slow down the process, cultivate and nurture your prospects and your sales growth will accelerate while your life gets easier.